How can you identify the best eye care practice for you? Here is a quick guide that will help you identify the best eye doctor, staff, and boutique to buy your eyewear from. Learn about the best Eyeglasses for you! As a consumer you should know what you are buying and why the product is good for you specifically. Many products have labels slapped on them, such as “HD Lenses”, that create the illusion that they are a premium product, but with no reason to what benefit this provides to you. Afterwards, If you experience issues with the vision, the common response is “You just need to get used to it. That may be the case in some circumstances but not all. The best eye doctors and opticians first listen to your needs, then they direct their focus to explain what is available on the market for you to purchase & what is in your best interest. These eye care professionals explain details not to be salesy but to make sure you know the difference in your product choices so you can make an informed decision. It is important as a consumer for you to take time to understand what can make your life easier, ways to keep your eyes healthy, and improve your vision. No Frustration, Understand better eyewear can help you. The eye care practice you visit should not be afraid to offer you a premium product and explain how it can help you. If the focus is on “the best price in town” then the focus is all wrong and they probably don’t have your best interest in mind. 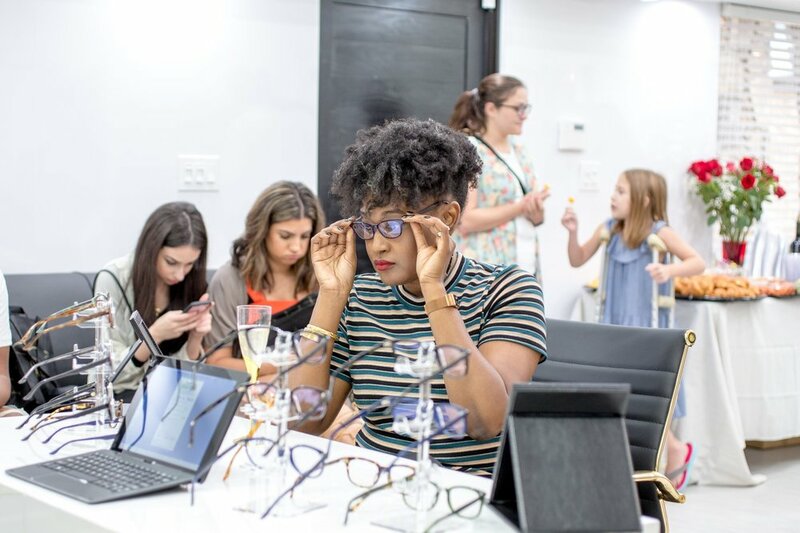 As a consumer it helps to have several options to choose from when picking out frames, lenses, contacts and other eyewear supplies. Additional product options helps you make instant comparisons and an informed decision on what is best for you. How upset would you be if you realized that there was a product out there that would help you see better, last longer, and be more enjoyable to use but no one ever told you about it? At the least, you should be given the option and you can decide whether that is the right financial decision for you. The Optometrist, the Optician, the receptionist, and the entire staff should exude excitement about what they do. Being able to ask questions and have a knowledgeable eye care professional to answer your questions and worries can put a lot of problems and headaches to rest. Unfortunately, many eye care practices train on sales techniques instead of customer service and products knowledge. As practices grow, patients can be rushed in and out and individual focus can be lost. Your eyewear purchase is personal to you, and your eyes are unique. The eye exam, and eyewear fitting experience should be a personable, enjoyable, and easy.